The mis-perception that scientists are still debating whether humans are causing global warming has been heavily influenced by fossil fuel interests in order to undermine climate policy. The focus has been undermining the possibly of a consensus, and it has worked well. The original article is from The Conservation, and can be found here. Using Skeptical Science’s taxonomy of climate myths, arecent analysis tracked climate misinformation published in opinion editorials from 2007 to 2010 by syndicated conservative columnists. 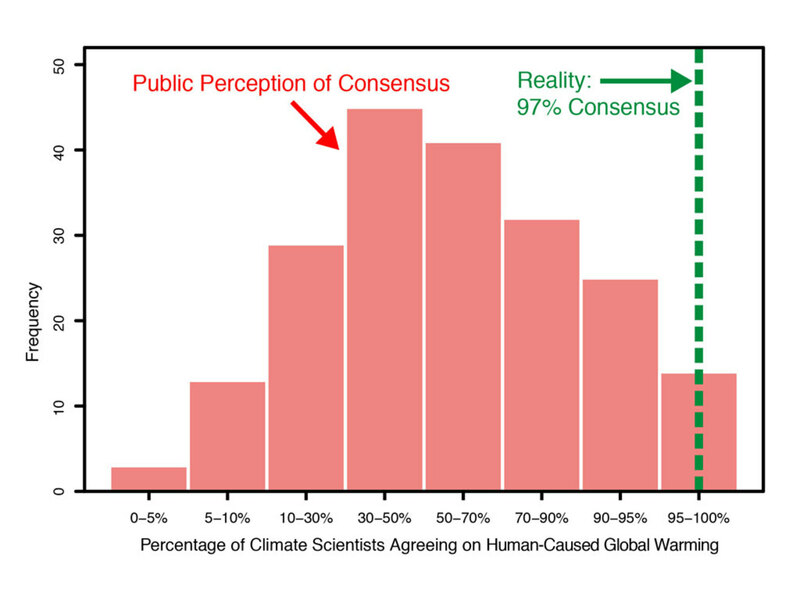 The most popular myth was “there is no consensus”. More recently, a variation of the “no consensus” myth has emerged – the notion that the consensus is “on the verge of collapse”. 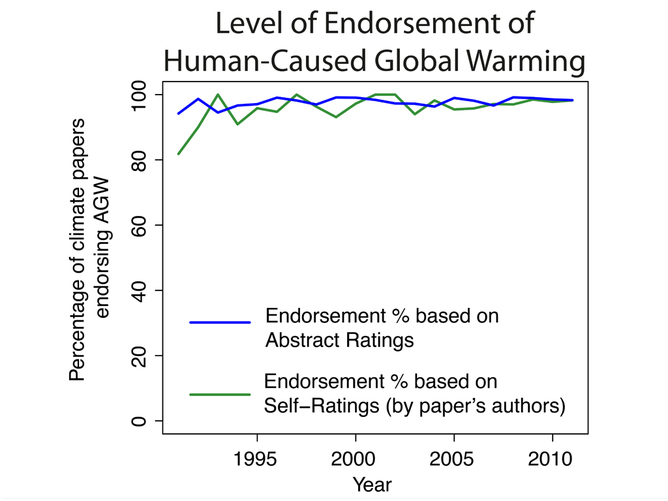 The results of the paper Quantifying the Consensus on Anthropogenic Global Warming in the Scientific Literatureare summarised in a simple, user-friendly manner attheconsensusproject.com.